Mashonda Tifrere is an avid art collector, singer/songwriter, philanthropist and change agent committed to empowering and inspiring women across the globe. At the age of 18, she launched her music career with an impressive publishing deal at Warner Chappell Music, and released her first album in 2005. She has written and recorded hit singles with and for artists such as Jay Z, Eve, DMX, Snoop Dogg and LL Cool J. Born in Boston and raised in Harlem, Mashonda was captivated early in life by the mosaic of arts, music, photography and culture that surrounded her. She has represented artists at art fairs and interned for various galleries and graduated from the prestigious Christie’s Education in New York with a degree in Art Business. She launched ArtLeadHER in 2016, which is a platform designed to celebrate and draw awareness to female artists in a male-dominated art world. Mashonda currently resides in the New York City area, with her son, Kasseem Dean. "Transformative! A paradigm-shifter for these families who are experiencing divorce or separation, this book shows parents how to reset their egos and enter their hearts. 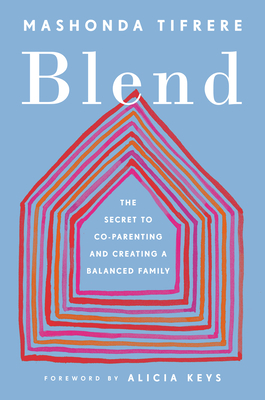 Blend reassures us: there is a way to reconfigure our families post-divorce in a way that is positive and life-affirming."